Some years ago, I designed some knitting patterns for a proposed Halloween knitting book. That book ended up morphing into something else which ended up being lovely, but deep down I was so sad that the Halloween book never happened. Fortunately the new version of the book was able to still use all but one of my patterns, and that pattern is now up on Ravelry. But I still really want that Halloween knitting book. Here are the gloves that didn't make it into the book. 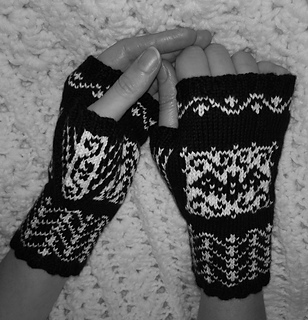 They are my "The Eyes Have It" Fingerless Gloves, and they are available on Ravelry. Here are my spooky themed patterns that DID make it into some knitting books. There's also an eyeball hat in the works... but I need to get on that. Maybe in time for next Halloween? Enough about me. Even though that Halloween knitting book never happened, there are tons of really beautiful and spooky knitting patterns on Ravelry. I know, because sometimes I go on there and add a bunch more to my (already overflowing) queue. I think the world needs to know about these wonderful patterns, so I'm going to post photos and links for some of my very favorites. Today, being Halloween, meant it was time for me finally cast on for the Just Batty Socks by Jennifer Vaughn. I've wanted to knit these for a very long time, and I finally purchased the pattern and some yarn (Knitpicks Stroll Sock Yarn in the colors Pumpkin and Black). 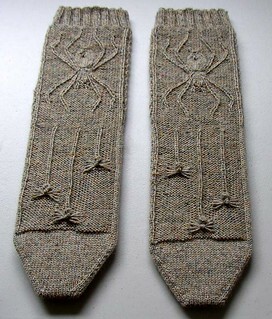 Another pattern that I know I need to knit soon, is Spider Socks by Terri Knight. 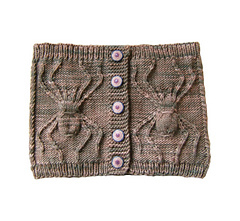 It's a wonderful pattern knit in a single color, and takes advantage of texture to create the design. 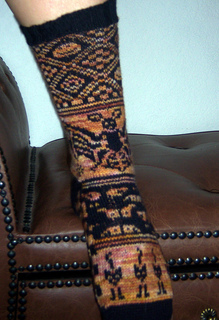 A pattern I just discovered today is Fangtastic Socks by Wendy Gaal. Look at that design. Brilliant! I will be knitting these very soon. Obviously, socks are kind of my thing, but don't you worry! I've found spooky things to knit that aren't socks. I'm pretty sure I need to knit these Night Creatures Mittens by Adrian Bizilia. These aren't the only mittens I need in my life. 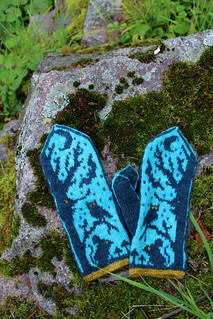 Check out these gorgeous Bat Mittens by Johanne Landin! I'm a sucker for bats, and mittens, but I love fingerless gloves even more. 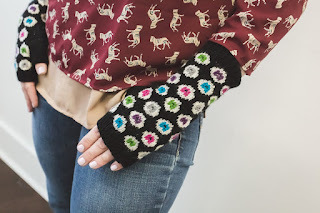 Check out Belfry Bats Fingerless Mitts by Patricia Wake! 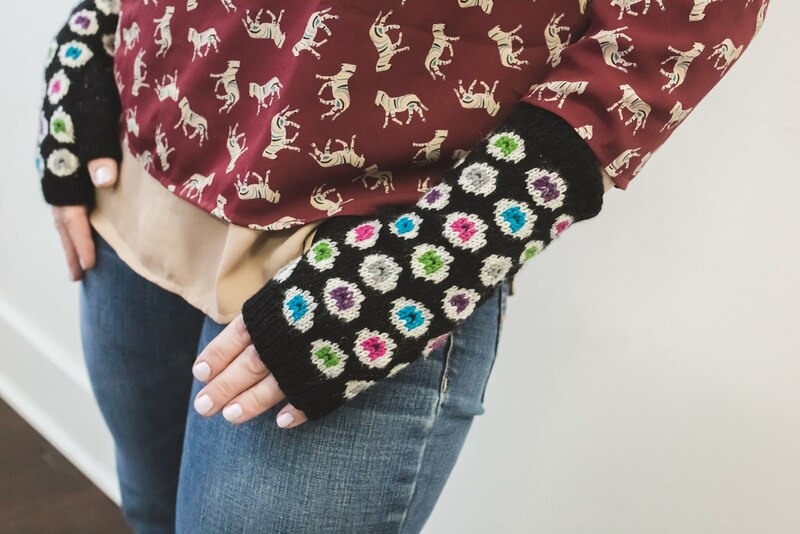 Another fantastic fingerless glove pattern (that I knit up almost immediately after finding) is Skull Mittens by Jennifer Thompson. I believe I bought the pattern from the KnitPicks site, but it looks like it is also available on Ravelry. 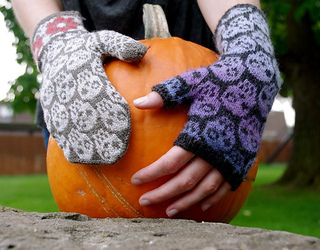 You have the option of making a glove or a fingerless glove, so you really get your money's worth on this one. Okay, we have to throw at least one scarf in the mix. 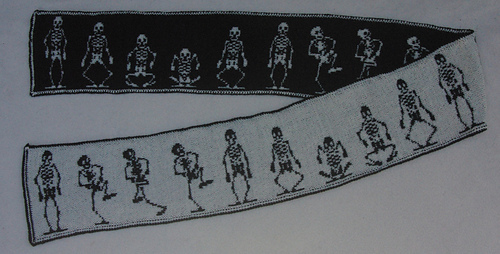 I'm loving Dancing Skeletons Double Knit Scarf by Frivolite Handcrafts. I just need to practice double knitting, which might be the scariest part of this pattern. Well, okay. Here's another one. Do you really REALLY like fair isle? If so, I have the Halloween knitting project for you! 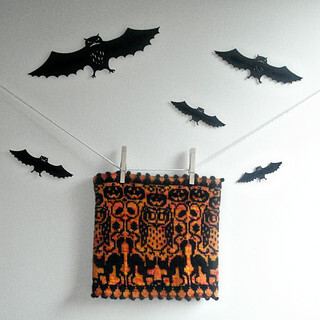 You need to knit the Halloween Fair Isle Scarf by Siouxsie Stitches ASAP. Now let's add a spooky and fabulous cowl! It's the Hocus Pocus Cowl by Thea Eschliman. The Phobia Cowl by Sharon Mooney is another one I'm going to need to knit, but with some really amazing solid color yarn. I'll be raiding my yarn stash soon! Oh, shoot. I can't forget hats! 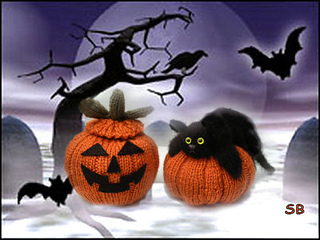 Like Halloween Kitty Child/Adult Beanie by Sandra Jäger. In all fairness, I wouldn't knit this for a child. I'd definitely knit it for myself! Have I mentioned that I love bats? 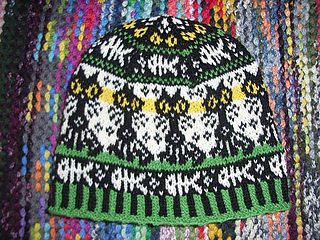 Because of that, I can't help but love the Bats in the Night Sky Beanie by Joan Rowe. Look how interesting it is! by Anna Hrachovec. I've knit this one several time, but I've never managed to keep one for myself! That's all I have for now. Do you have any wonderful scary/spooky patterns you want to share? Post in the comments. I definitely (don't) need more knitting projects in my life!